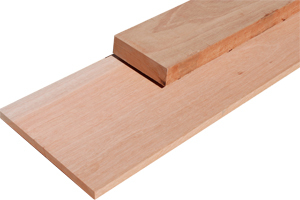 We stock the Select and Better grade of Dark Red Meranti. Overall its fairly clean looking but can have a color range of a light salmon color to a dark red classic mahogany coloring. 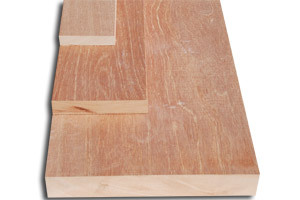 We stock veneer and plywood in Dark Red Mahogany too. Dark Red Mahogany was used a lot back in the 1950's for all sorts of things from, furniture to moldings and even on boats. 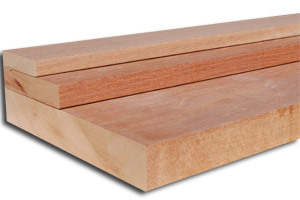 Dark Red Meranti is pleasure to work with, its fairly forgiving. 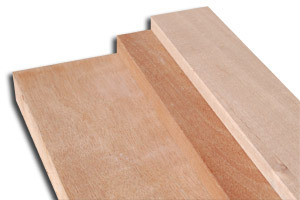 Not to hard or to soft which makes sanding with hand tools easier than compared to Red Oak. There are no know issues with glues or finishes.